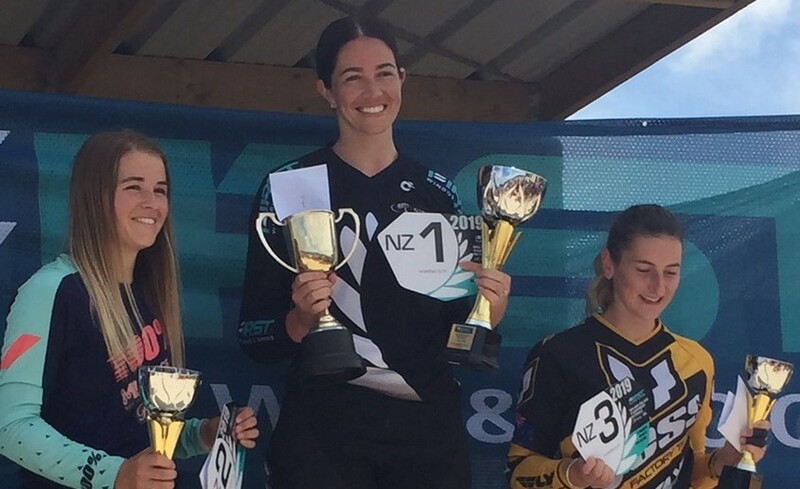 After qualifying second behind defending champion and local Te Awamutu club rider, Rebecca Petch, Walker had to use all her experience to hold off her rival in a closely-fought final to reclaim the national title. “It was such a good battle and I think the hardest national title ever. Massive kudos to Rebecca. It was great for New Zealand in terms of Olympic qualifications,” said Walker who heads away on her honeymoon on Monday. 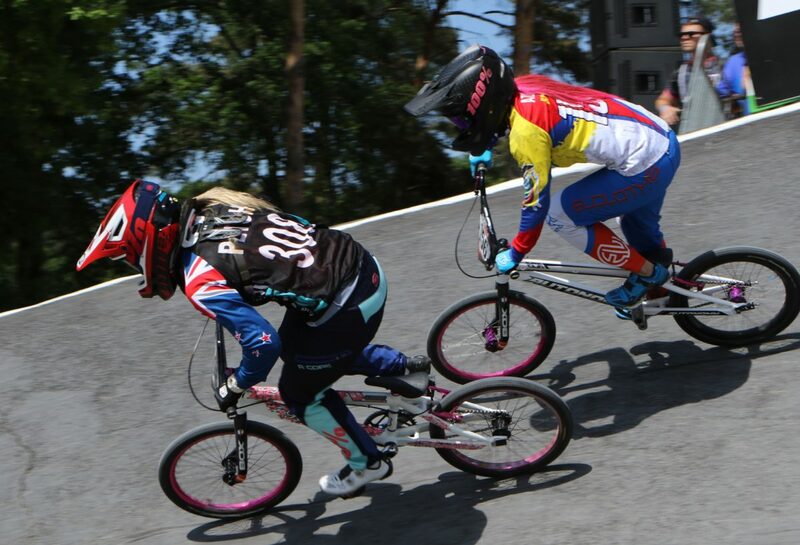 Petch, who had won two of her three qualifying motos, finished second with European-based Baylee Luttrell from the Hamilton club was third overall. 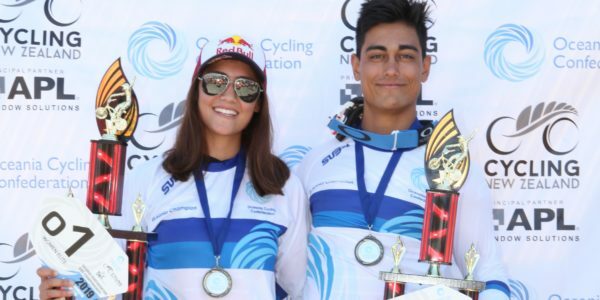 Luttrell, who won all three of her motos, claimed the women’s junior elite title ahead of Ella Hansen from North Canterbury, a member of the Schick Civil National Performance Hub. Hutt Valley’s Caitin Georgantas was fifth overall, but took the final place on the podium in the elite women. Peel, the 2016 junior world champion, won the elite men’s title after an impressive display. 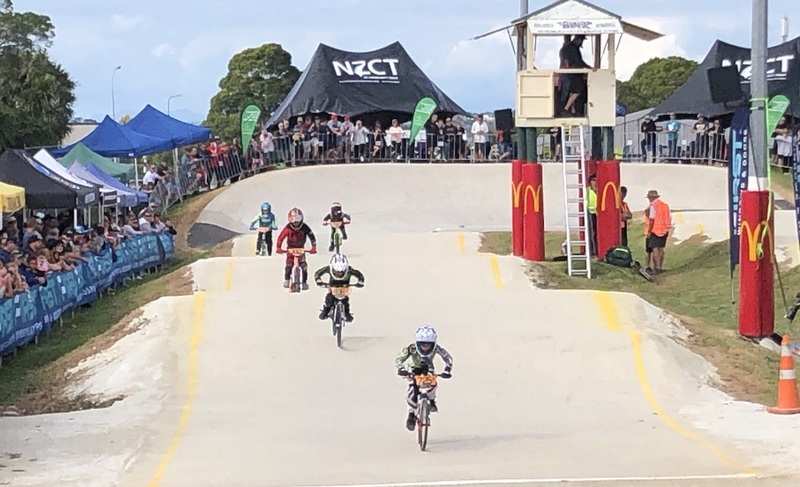 The teenager from the Sunset Coast club enjoyed a perfect day, winning all three of his motos and dominated the final to hold off fellow New Zealand representative Cole McOnie, from the local Te Awamutu club. 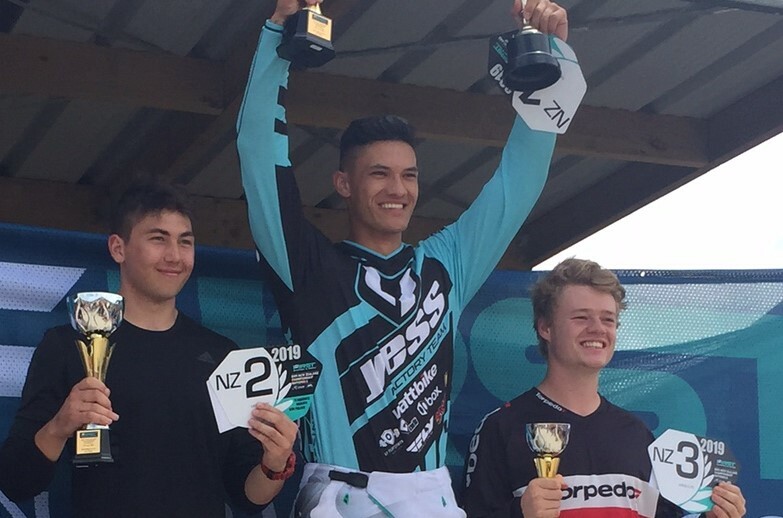 Maynard Peel atop of the podium at the FIRST Windows and Doors New Zealand BMX Championships in Te Awamutu with Cole McOnie in 2nd and Ryan Jordan in 3rd. Hamilton’s Ryan Jordan, a member of the national performance hub, held off the experienced Daniel Franks for third. 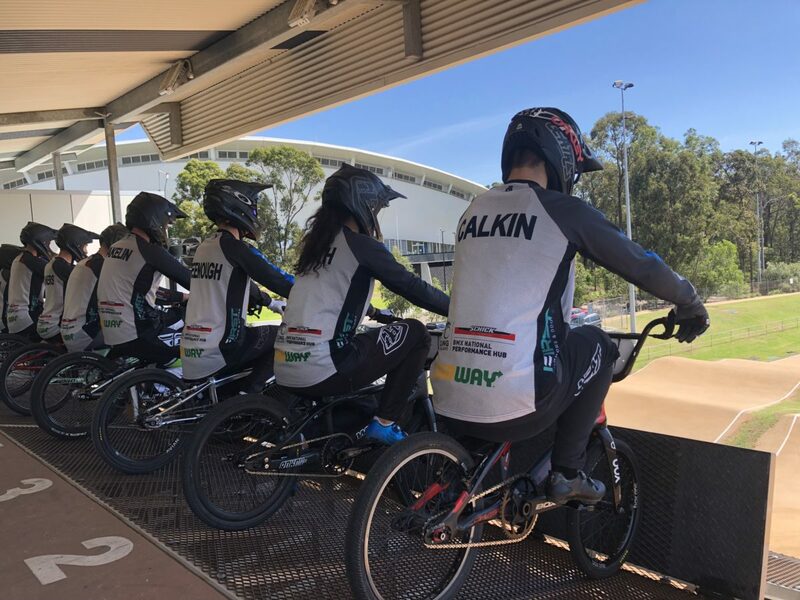 The junior men’s podium comprised riders who are all part of the national hub, with Cambridge rider Tasman Wakelin completing a perfect day with three qualifying wins and the final victory. He finished clear of Cailen Calkin (Hamilton) and Mason James (Te Awamutu). “It was a good win. I am definitely happy with how I performed today. Today the top podium were all Schick Civil Hub riders and I pretty much raced with who I train with which was cool. It shows that the Hub is working well,” said Wakelin. 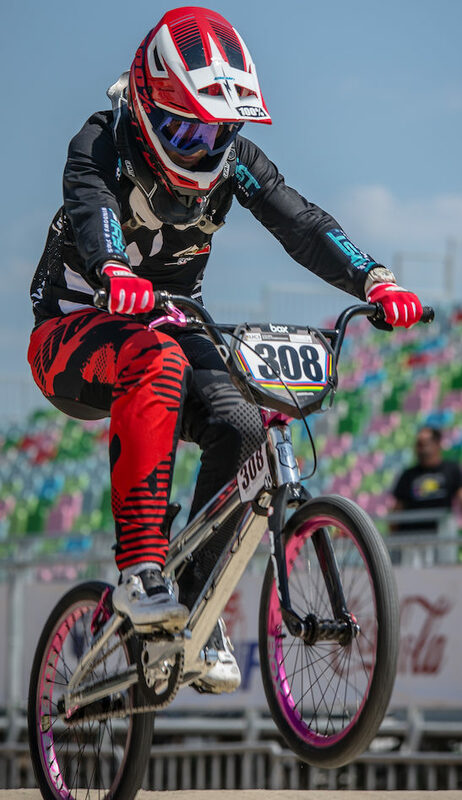 The focus turns to the Oceania Championships at Te Awamutu tomorrow with the leading New Zealand riders up against the best from Australia.